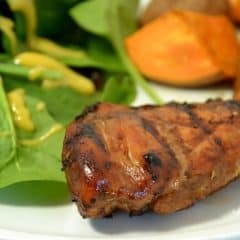 The base for this Barbecued Teriyaki Chicken recipe is a marinade that requires only 4 ingredients. It can be made ahead and frozen for busy days, or used the same day you make it. The choice is yours. Hi there, friends. I’m Rita Joy from Harbour Breeze Home, and I’m soaking up the sun that’s shining outside my window today! It brings with it warmer weather, and makes me think that tonight would be a perfect night to barbecue! Since the warm weather has (finally!) arrived, I’ve started changing up my dinner recipes to include barbecue meals. 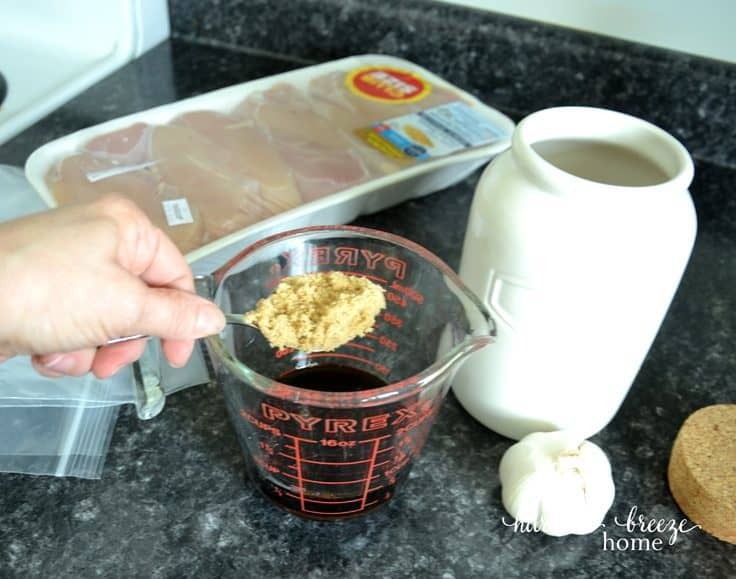 One of my favorite time saving tricks is to buy skinless, boneless chicken breasts in bulk. 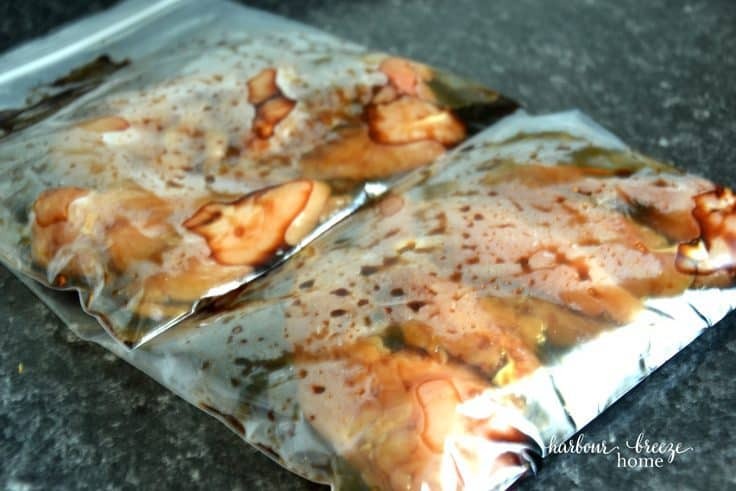 Then, before freezing them, I make marinades and package them in dinner-sized portions in ziploc bags. On the day I want to use one, I just pull it out and let it thaw. As it thaws, it marinades! It works great and saves time. 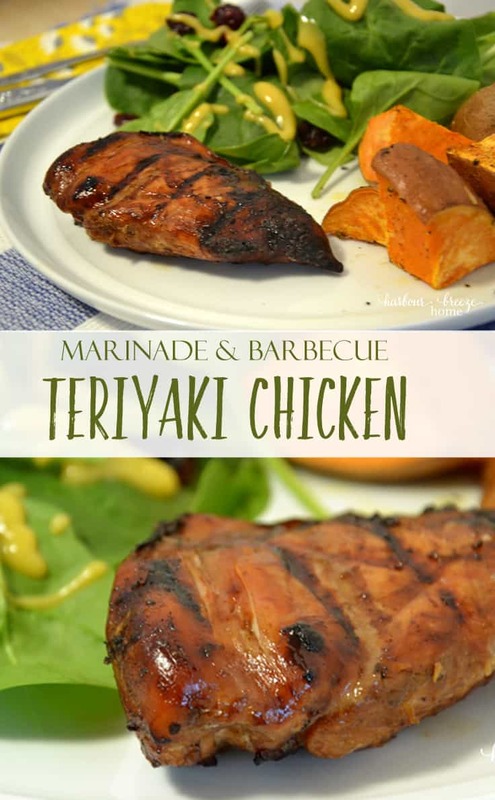 Today’s recipe is our favorite chicken marinade! 1. 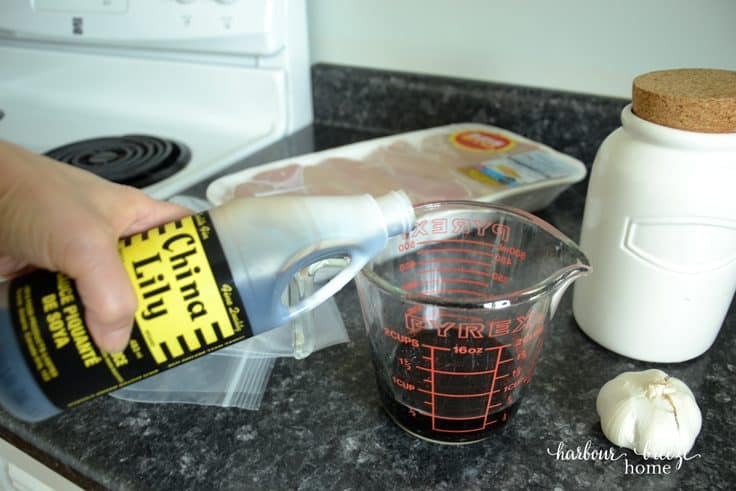 Pour 1/4 cup soy sauce into measuring cup. 2. Add 2 Tablespoons brown sugar to the soy sauce. 3. Press in 2 cloves of garlic. 4. Add 1/4 teaspoon ginger, and stir everything together. 5. Place 3 skinless, boneless chicken breasts in a large freezer sized ziploc bag. Pour the marinade over the top of the chicken. 6. To cook, remove chicken from ziploc bag and place on medium hot barbecue grill. Cook for about 20 minutes total ~ turning often. To check to see if chicken is fully cooked, slice one in half and make sure there is no pink showing. I served this along with spinach salad and roasted sweet potatoes. However, it would also be delicious served on a bun with pineapple and a side of macaroni salad. The possibilities abound! This is enough marinade for three skinless, boneless chicken breasts. 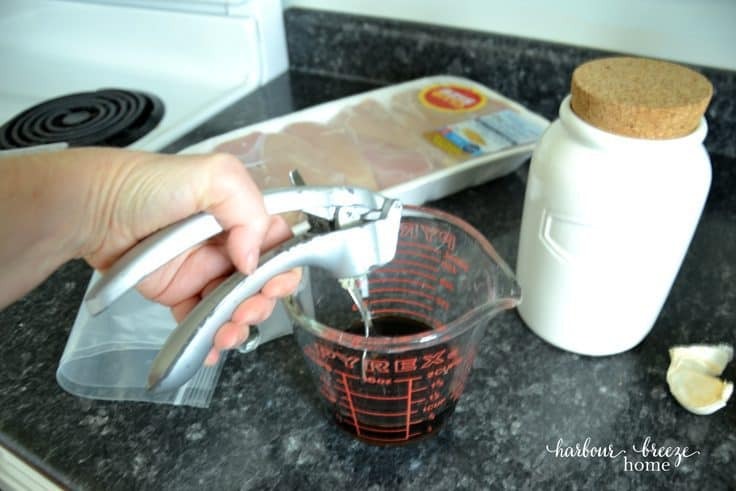 Pour 1/4 cup soy sauce into measuring cup. Add 2 Tablespoons brown sugar to the soy sauce. Press in 2 cloves of garlic. Add 1/4 teaspoon ginger, and stir everything together. 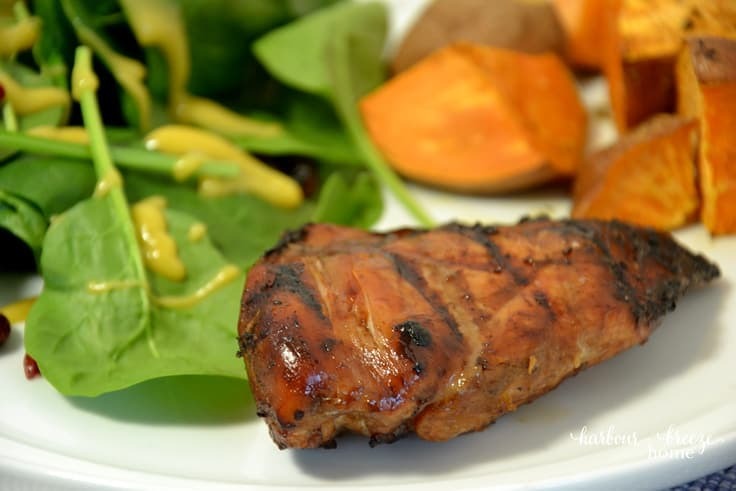 Pour the marinade on chicken and refrigerate at least 30 minutes. Do you like to barbecue in good weather, too? If so, what are your favorite barbecue meals? Comment below. We’d love to know what you love for warm weather meals. 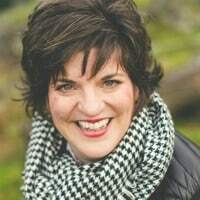 Rita Joy is a wife, mom, passionate homemaker, and blogger at Harbour Breeze Home. 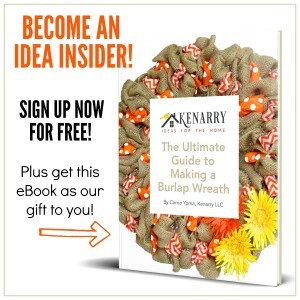 She loves the challenge of making a pretty and functional home and cooks because her family needs to eat! Along with rearranging furniture and painting rooms, she loves to find quaint coffee shops (with yummy baked goods! ).